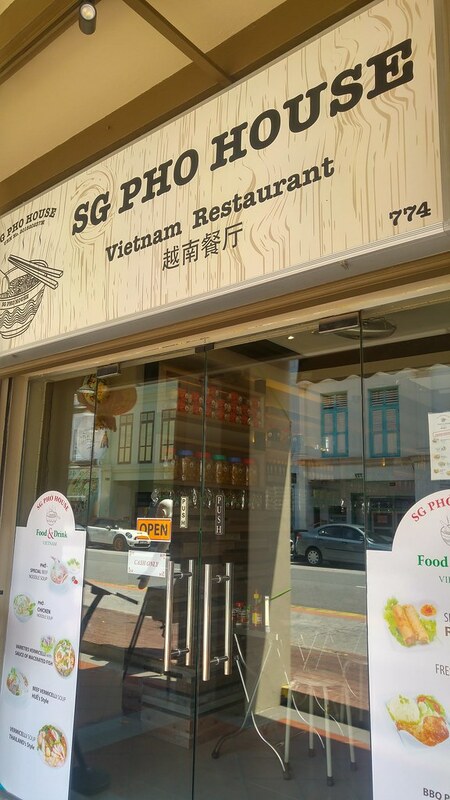 SG Pho House is a newly opened Vietnamese restaurant, nestled in one of the shophouses along North Bridge Road. 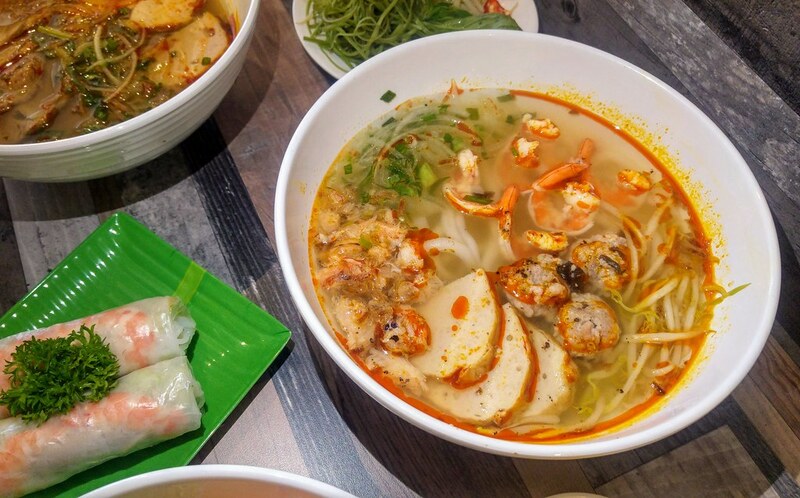 The lady boss is a true-blue Vietnamese and with her leading the kitchen together with her own team, expect real Vietnamese flavours in your pho as well as other dishes. Its interior is probably one of the closest to that of those eating places I had been to in Vietnam, perhaps what's missing are the little stools for a morning beer. Shiny mental foldable tables with much sturdier legs that are built to last, these dining tables are actually imported from Vietnam. 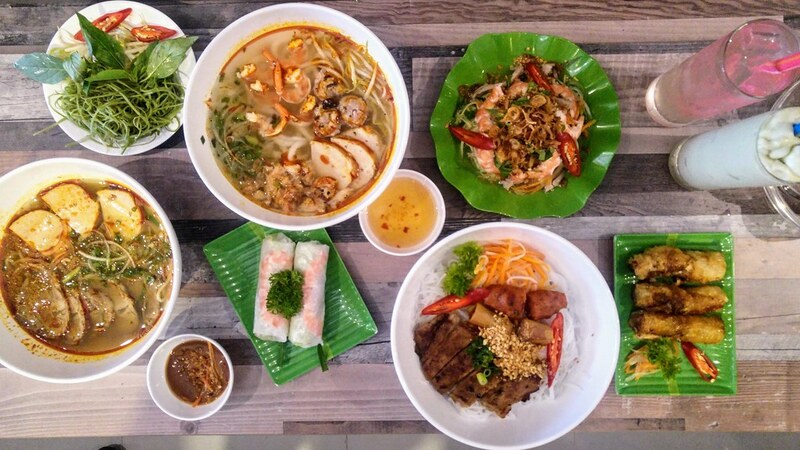 The menu is fairly simple, offering Beef and Chicken Pho, Vermicelli, Rice varieties and sides. For sides, we had Mango Salad ($6.90), Fresh Spring Rolls ($3.90) and Seafood Spring Rolls ($4.90). I'm really pleased with their mango salad which comes with fried shallot, shrimps and sliced pork. The acidity is just right and I could taste the citrusy of the lime juice. What I really appreciate is how the shrimps and pork are being sliced to align with the shredded mango, hence there is a bit of everything in each bite. 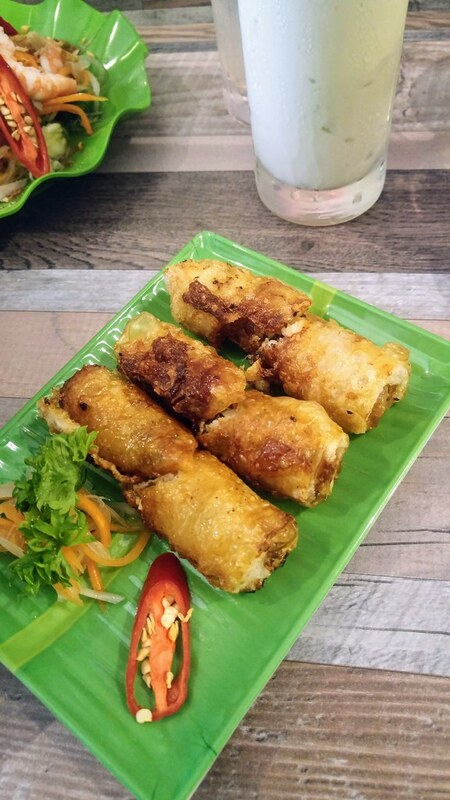 As for the spring rolls, I thought the fresh ones are kind of flat, while there is definitely a lot more going on with the fried seafood version. I was told that different style of pho uses different bases. 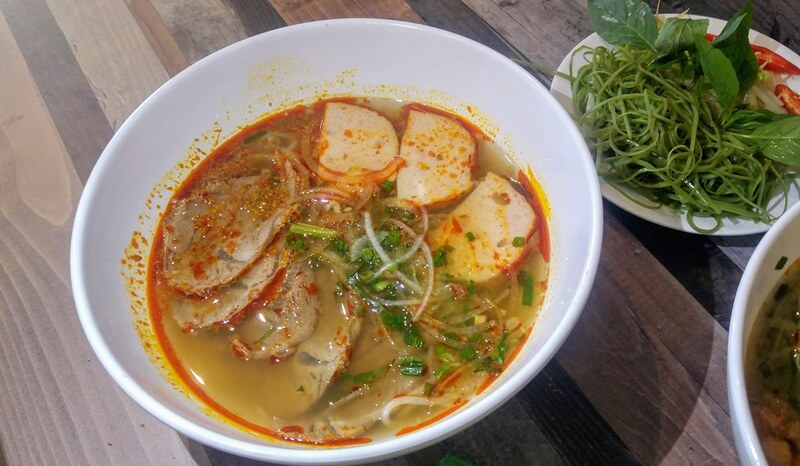 The traditional beef noodle soup, Hue style vermicelli soup, chicken noodle soup and even Thailand style (Tom Yum) vermicelli Soup have a different soup base. 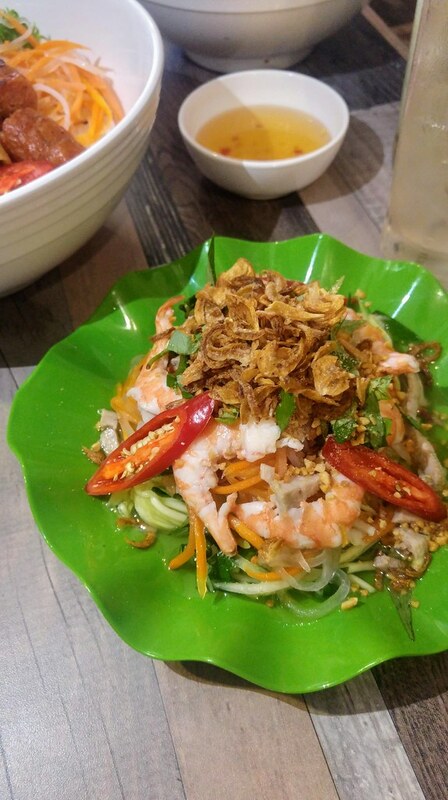 The sweetness and flavours are not from MSG but a concoction of imported Vietnamese herbs, spices and their solid good broths. For the mains, we had Beef Vermicelli Soup, Hue's Style ($7.90), Rice Spaghetti Soup with Crab Meat ($9.90) and Grilled Pork Vermicelli ($9.50). The broths here are indeed the soul of the dishes. What hit my senses first was the sweetness of the broths, born from hours of simmering bones and marrow. There is depth to it, accented with herbs and spices. Served alongside the beef vermicelli soup is not just your usual plate of basil and beansprouts but with a pile of shredded kang kong to provide an extra crunch and freshness to the overall taste. Their Rice Spaghetti is similar to our local Mee Tai Mak. The soup is made with pork bones which explains the unexpected level of sweetness. I thought it was just going to be a mediocre soup base. I like the homemade meatballs which reminds me of how a yummy minced meatball make a difference to a bowl of handmade noodle soup. However, the crab meat which is supposed to be the star of the dish was rather dry and bland, hence a better option may be their vermicelli soup with seafood only. 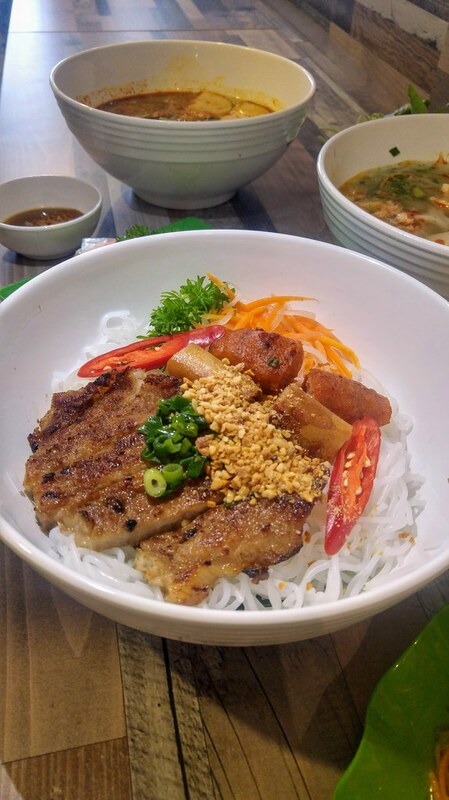 As for the Grilled Pork Vermicelli, although it didn't pack much surprises, it is a crowd pleaser with very well marinated juicy pork chop. And it is not at all boring when a bowl of it comes with a pork spring roll and a grilled fermented pork, akin to a sausage. One thing I learnt from this lunch is the similar to how a Hong Kong evaporated milk made its mark in a Hong Kong milk tea, Vietnamese have their own version of condensed milk as well, which apparently is less sweet than our local ones. True enough, even though our Avocado milkshake and Strawberry milkshake were made with big spoonfuls of their condensed milk, they turned out creamy and milky without being cloying. 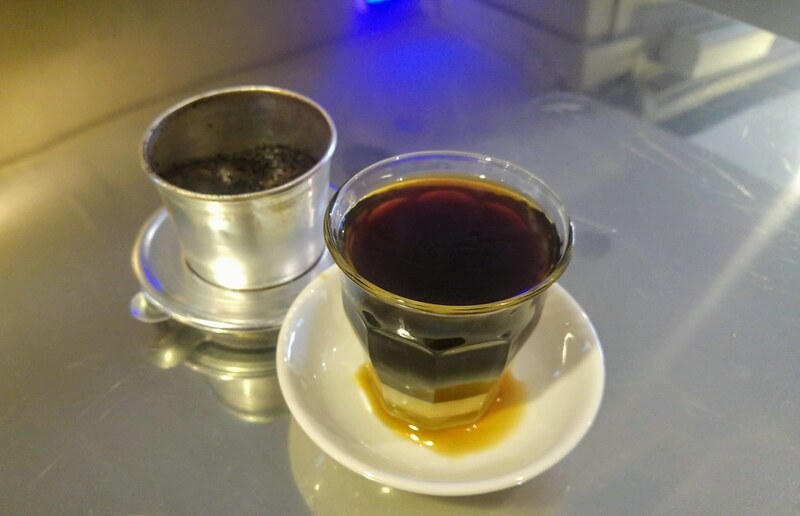 My Vietnamese version of 'Piccolo' was fine too, though I wish it could be a lot stronger. Out of malls and away from the crowd, I quite enjoy the rustic atmosphere of SG Pho House which elevates the experience of tucking into their hearty broths and dishes. 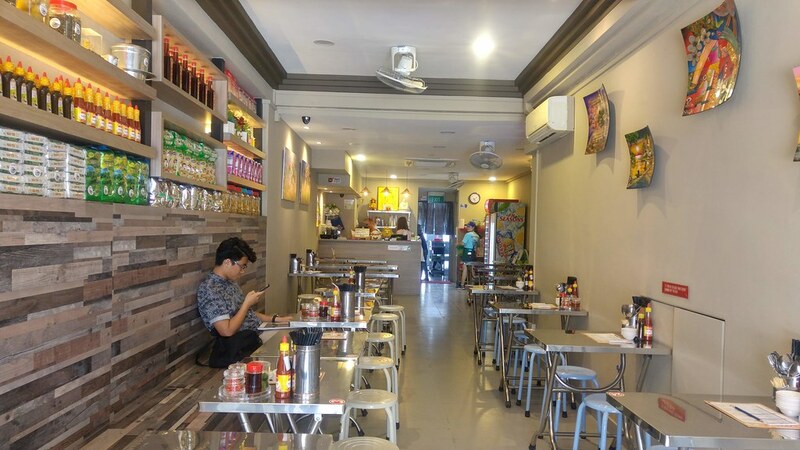 The chicken noodle soup is highly recommended by the owner so when you need a alternative chicken soup for your soul one of these days, do drop by!